← Could 15mph Speed Limits Be On The Way To Princeton? 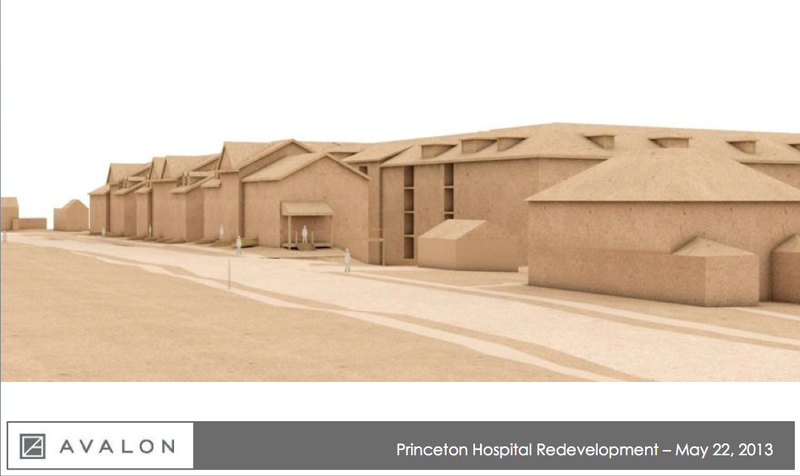 A public meeting at Community Park School on Wednesday evening revealed a new proposal for redevelopment of the former hospital site in Princeton. Jon Vogel, vice-president of development at AvalonBay, led a series of presentations from architects, engineers and landscape planners, who have been working with Princeton officials to amend the development proposal, after the Princeton Planning Board rejected their initial application. 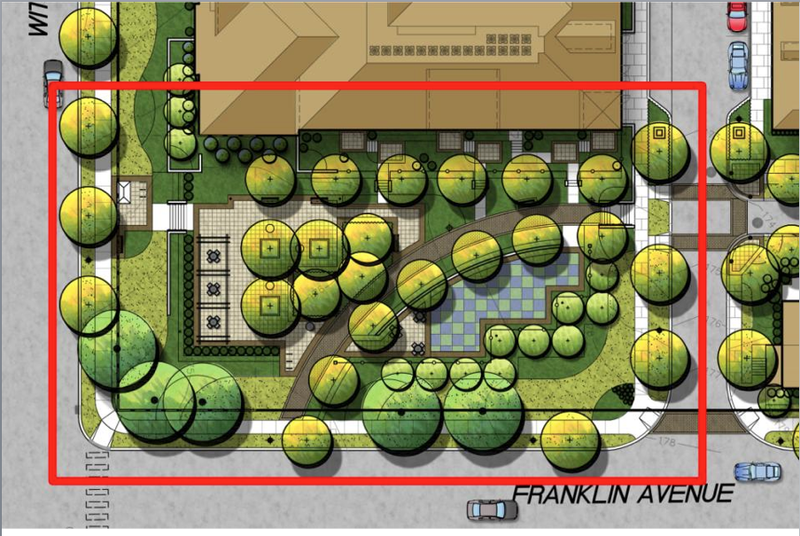 There are at least three entirely new thoroughfares proposed: a new road with sidewalks connecting Franklin Avenue and Harris Road, a ‘Garden Walk’ between the apartments and garage (not present in previous plan), which would be a pedestrian walkway lined with trees, and a ‘Townhouse Mews’, which would be a tree-lined alley with benches for seating and garden features. There are additional walking paths around green spaces facing onto Witherspoon Street, and through a large new park at the corner of Witherspoon and Franklin Avenue. Practically speaking, this means that for those of us walking from the north side of Princeton towards town, there will now be a new pedestrian link-up allowing us to make a short-cut through the site. Looking at the site plan in more detail, we can see that whereas previously one large building was proposed, there are now 5 different buildings of different heights and styles. These include three townhouse buildings facing onto Franklin Avenue (shown in image at top). This means that for people walking along Franklin Avenue, instead of looking at a wall, they will be looking at family homes with people potentially sitting out on their stoops. 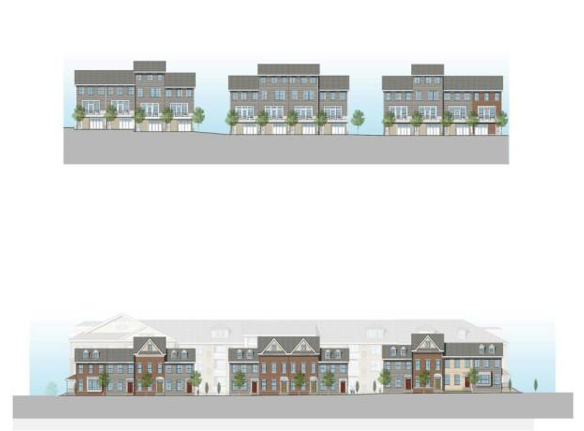 These townhouses provide a linkage between the lower, single-family homes surrounding the site, and the larger buildings that are set back from the street. With regard to Witherspoon Street, an apartment building is proposed to face the street. This building, although larger than the townhouses, has been remodeled to be at multiple levels, with pop-up lofts and features that break up the length of the structure and avoid a monolithic appearance. 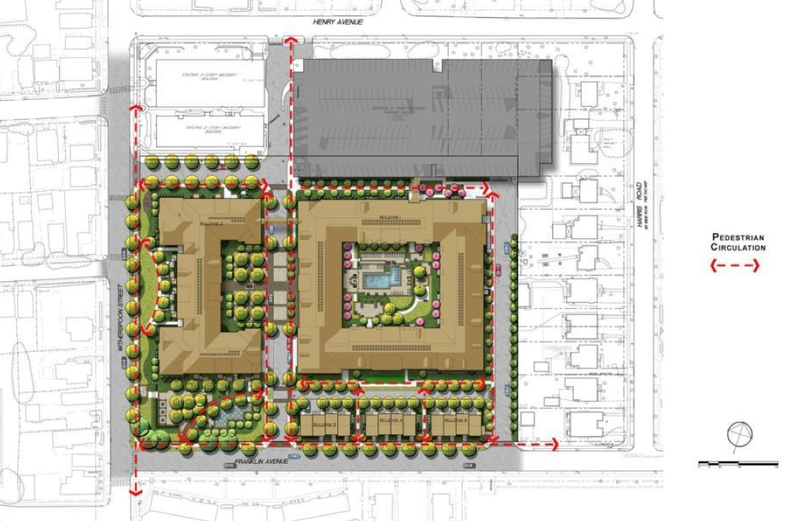 The site plan still proposes 280 residential units. This is a good thing, because it means that Princeton will get 56 COAH-approved affordable housing units. Jon Vogel confirmed that these units will be split up throughout the complex, facing all directions, and on all levels. There will be no segregated ‘low-rent section’ in the complex. To enable the addition of the new road passing through the site, while simultaneously allowing for easy connection between the different sections of the complex for renters, the architects have proposed a bridge connecting the two main apartment buildings. Most of the residential amenities are proposed to be situated in the larger apartment building at the back, which is hidden from the local streets by the parking garage at one side, and townhouses on the other. We find the little bridge connecting the two buildings to be an interesting design feature, and hope that it is kept in the final development. There is also another, open-sided bridge, not shown here, that would connect the larger apartment building with the parking garage. This park, which will be about the same size as Mary Moss park off nearby John St, will have a number of attractive features. First, the park has a large number of new trees and plantings. Second, there is a play area for kids, shown as the checkered area in the picture above. Third, residents from the nearby apartments will be able to exit directly from their homes into the park, linking the new residents with the existing community. Finally, the park will re-use the existing wrought-iron fence, reducing waste and adapting a feature from the current site into the new plan. When it comes to environmental design features, the new proposal goes over and above what is required to offer green standards that will make this development one of the most energy-efficient in the former township. Most notably, the development is designed to ‘LEED’ standard (Leadership in Energy and Environmental Design). Not only that, but the new complex would meet stringent Energy Star version 3 guidelines, and exceed International Energy Conservation Code (IECC) standards by 25%. Low-flush bathroom fittings, rainwater recycling and even solar panels would be included in the new plan, and the site redevelopment will be overseen by LEED-certified professionals. We would argue that adding homes on a major bus line, 5 minutes walk from the stores and amenities of downtown Princeton, is intrinsically environmentally-friendly, as it enables prospective residents to access many amenities using walking or cycling instead of driving cars. As we have noted previously, the hospital site is extremely walkable. Regarding traffic management, residents have expressed concerns about the entry and exit of cars to the parking garage, which fronts onto Henry Avenue. The new plan has a substantial benefit for car flow, because of the new routes that cross the site. As the picture below shows, not only can cars enter and exit onto Henry Avenue, but also directly onto Witherspoon Street, or via a two-way street leading to Franklin Avenue. Exit is also possible by a new one-way connector street leading onto Franklin. That means there will be four points of exit for cars. Given the site’s advantages in terms of location, many residents will likely walk or cycle to work. Car traffic from the site is therefore very unlikely to cause a problem, and will certainly be trivial compared to what was seen when the hospital was active here. In conclusion, it seems that AvalonBay has taken seriously criticism of their previous plan from Princeton residents and members of the Planning Board, and brought forward a significantly improved proposal. The plan received a much more favorable initial reception among members of the public at the meeting on Wednesday night, but the local newspapers are already filling up with letters from local residents who still want to block AvalonBay’s plan, and who are encouraging further objection at the upcoming Planning Board meetings where the site proposal will be vetted. 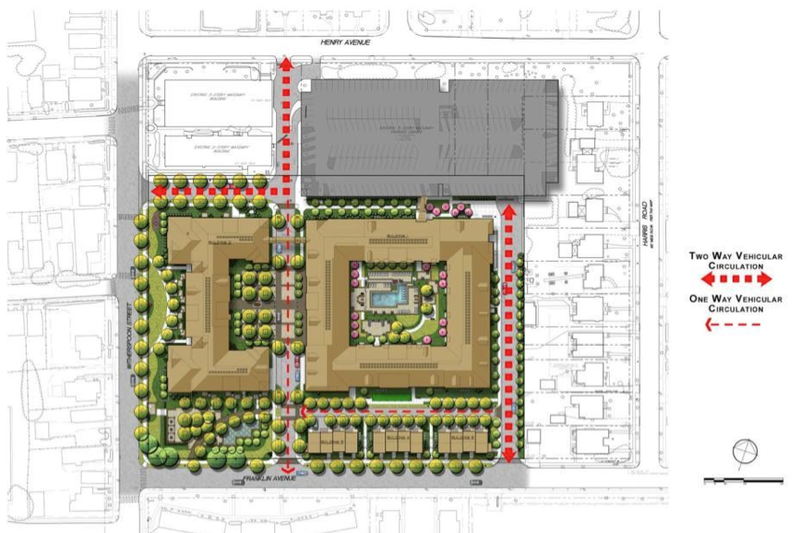 The main issue at this stage seems to be the idea of adding 280 residential units at the site. We see this very much as an advantage, not a problem. Princeton has become increasingly unaffordable, because we have not added housing as the local population and economy has grown. Princeton should not be an exclusive enclave for the wealthy, and this development offers 56 affordable units, which will rent for somewhere in the region of $800 per month– a reasonable figure for moderate-income people. We need more affordable housing, not less. Opponents of the proposed density think we should spread development out, at lower density, throughout the region. This is inefficient land use, which leads to destruction of farms and forests to build homes, and creates traffic as people can’t walk or cycle to central Princeton, which is a jobs center for the region. Apartments are unlikely to draw many families with children, so the proposed plan is unlikely to add many kids to local schools, but will provide a significant ratable tax benefit to Princeton. In 2013, we cannot continue to build at low density because it is bad for the environment and causing our region to become addicted to cars and traffic. Many people would love to live in a walkable apartment in Princeton, and it is to the advantage of local businesses and a vibrant downtown center to allow them to do so. Those of us who like the walkable grid of the new hospital site proposal, who would enjoy using the new park, who value the green design features, and who appreciate a developer who has proven responsive to community concerns, should not be shy about making our voices heard. The Planning Board should scrutinize the new proposal carefully, but there is much to like and support in the new plan. 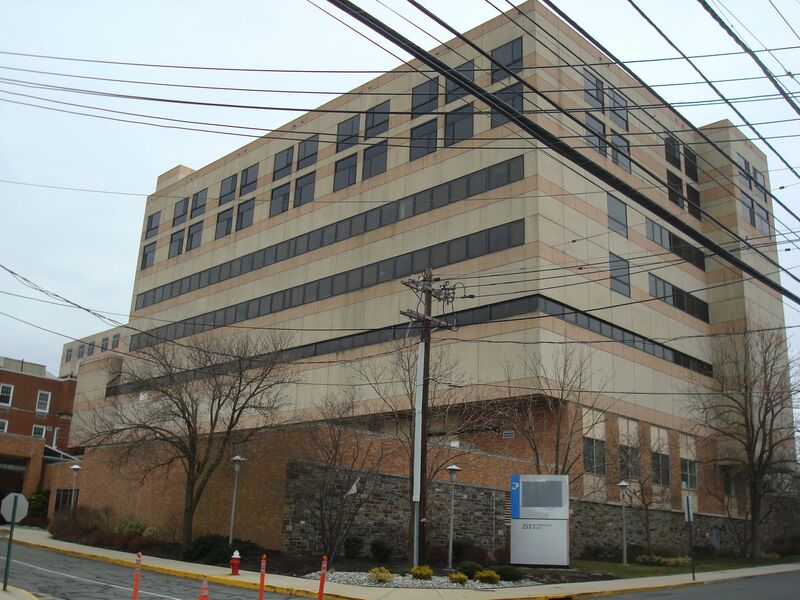 The new proposal for hospital site redevelopment will be discussed by the Princeton Regional Planning Board at hearings on June 27, July 11, July 18, and July 25, 2013. Feel free to leave your thoughts about the new plan below! This entry was posted in Affordability, Density, Downtown Vibrancy, Local, Princeton, Smart Growth, Sustainability, Traffic, Walking, Zoning. Bookmark the permalink. When I was moving to the Princeton area a year ago I had a little lag time before I could move into my new house and I had to find a place to rent. I REALLY wanted to move to the city itself because I really value being able to walk to local businesses, but there just weren’t rentals to be had. I think this development is great news for Princeton. I feel very lucky to be able to live here and would love to share everything that Princeton has to offer with more people! One apartment building is hardly going to make Princeton into a city, so I recommend that if you want a city you should probably head to New York or Philadelphia. Nonetheless, there are a very large number of people who live around the region and drive into Princeton every day, so hopefully by providing homes for some of them we can cut down on traffic and provide some customers for Princeton’s downtown businesses. Princeton should welcome middle-class people who want to live here. Hello Walkable, thank you so much for providing the most comprehensive coverage of the new development, especially all of the illustrations. I have two questions: Is the setback for the Avalon Bay townhomes on Franklin the same as the side setback for the nearest single-family home on Harris Road? It seems important to maintain that visual line, and I can’t tell from the picture. Also, I don’t know much about fire safety, but shouldn’t the largest complex, with the pool, have an opening to one of the streets large enough for a ladder truck/rescue vehicle to enter the interior courtyard? It seems dangerous in a fire or pool accident to not to be able to easily get a ladder or ambulance in there. I think the complex would be nicer if there was an opening off the interior two-way road (secured with a decorative metal fence or something similar), facing the “C”-shaped building fronting Witherspoon, even if it means adding a little bit of height or small tower somewhere to make up for the loss of the units there. Also, FWIW, this complex is so much nicer than the first proposal! Thanks for your comments! Regarding the townhomes, I believe that the proposed setback is reduced and would require a variance. (I can’t speak with certainty about this, because we’re not connected with the project design- but that is my understanding, based on conversations I had at the public meeting.) This is almost certain to come up at the Planning Board hearings and the developer will have to justify why the project was designed like this and whether the overall design of the project could be maintained while still maintaining the coded setback. As for fire safety, I can’t really comment on what emergency response protocols are for buildings like this. It’s a very legitimate question, and is likely to come up at the Planning Board. The new design is certainly better, but may very well benefit from further tweaking to get approved and to ensure the best possible design. I think if local residents can come to Planning Board meetings and ask constructive questions like these, it is likely to be a productive process that leads to good design. I was told that the setback for the townhouses would be identical to that of the last house on Harris Road. Evidently that will require a variance as the hospital lot requires larger setbacks than the homes. As to fire safety I don’t know, though the fire marshall usually dictates those issues.